Today, Finnish passports are issued to foreigners six times more often than in the 90s, and almost all new holders are dual citizens. This is more than in any given year since Finland's independence, a development the leader of the right-wing Finns Party finds worrisome. Over the past two decades, the number of new citizens has been rising exponentially. While only 2,000 people a year gained Finnish citizenship in the 1990s, in 2017, the figure exceeded 12,000, a record high. The right-wing Finns Party is worried over the development. 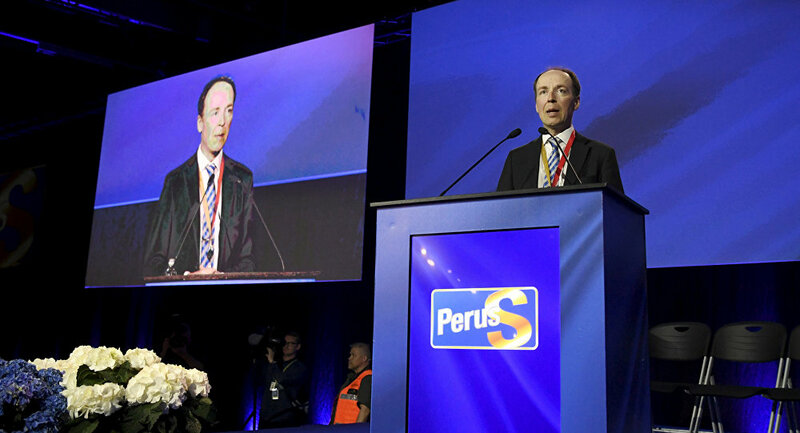 Party chairman Jussi Halla-aho said that Finnish citizenship should "show recognition of one's successful integration" and one's commitment to Finland and "Finnishness." "It cannot be a gift you get easily, it's no way of coaxing immigrants to integrate," Jussi Halla-aho said, as quoted by the newspaper Hufvudstadsbladet. Halla-aho also argued that the rapid distribution of Finnish citizenship to foreigners makes it difficult to monitor how integration is progressing. This, he ventured, was a way of concealing failed integration and mistakes in the nation's migration policy. "Somalis and Iraqis belong to the most disadvantaged in Finland, if one looks at the employment figures. The fact that they are among those who get Finnish citizenship the most is a big controversy," Halla-aho said, demanding stricter immigration rules and nationality policies. Lastly, Halla-aho also stressed that several people of foreign descent were internationally suspected of terrorist offences, thus undermining the credibility of the Finnish passport and Finns as low-risk entrants. A record 12,219 non-Finnish applicants were granted passports in 2017, according to Statistics Finland. This marks an increase of 30 percent over the previous record year, 2016. The majority of the new Finnish citizens are aged 30-32 years, and women outnumber men. Russians account for the largest number of new Finnish passport holders, followed by Somalis, Iraqis and Estonians. Almost all of the applicants for Finnish citizenship also strive to retain their previous nationality. Last year, 98 percent of new passport recipients held dual citizenship. In 2017, there were a total of 117,024 dual passport holders living in Finland, 11 percent more than the year before. According to Statistics Finland, 365,000 people living in Finland, a nation of 5.5 million, had a foreign background in 2016. The Finns Party, previously known as the True Finns, which is still the party's official name in Finnish and Swedish, is a nationalist-oriented party founded in 1995. Having spent two decades in opposition, they joined the coalition government in 2015. In 2017, the party suffered a schism, as half of the party's MPs (including former party leader and Foreign Minister Timo Soini) left the parliamentary group and subsequently forfeited their membership, forming the Blue Reform party.